Friedrichshafen, Germany, March 2017: ND SatCom has launched the latest plug and play Ka-band satcom terminal with Eutelsat approval. This new version of the field-tested and proven Ka2Go – Terminal is ready for fast and easy transmissions in Ka-band. The major highlight is the new RF module eTRIA, where motors are no longer required for polarization changes, thus providing higher reliability. Other improvements are the thermal design and integrated Encoder/GSM options, plus the new user-friendly operations application designed for tablet or smartphone use. Current Ka2Go customers can use the migration kit to upgrade and fully benefit from these sought-after features. The new generation of Ka2Go is fully KA-SAT compatible, ready for existing Ka-band service offerings on the market. It provides fast and stable transmissions with up to 10 Mbps data rate throughput. 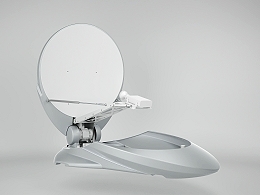 ND SatCom’s user-friendly integrated solution, Ka2Go – Terminal, is the most advanced vehicle-mounted antenna system within ND SatCom’s SKYRAY antenna family. It is designed to fulfill the most demanding broadcasting requirements and is based on a proven lightweight and robust design. The terminal includes a patented motorized positioner and automatic pointing system to the satellite, making handling easy. The antenna consists of a high-precision offset Ka-band reflector, GPS receiver, and a compass enabling auto-pointing and auto-network acquisition. In addition, the terminal integrates a KA-SAT modem, IP router, and antenna controller. The Ka2Go – Terminal fits on vehicles of all sizes and is an ideal solution for permanent or ad-hoc transmissions in Ka-band.